In 1998, Pandaw Founder Paul Strachan acquired the Pandaw, a steamboat built in Scotland in 1947. He renovated the vessel and operated it up and down Myanmar’s Irrawaddy River for several years, and ultimately sold it. In 2001, the company built its first company-owned riverboat, which was almost an exact replica of the original Pandaw. 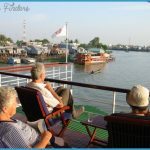 Today, Pandaw River Expeditions operates a fleet of 15 such vessels, all colonial-style, three-deck ships with wraparound balconies, despite the fact that others have emerged on the Southeast Asia river cruise scene with larger vessels, indoor hallways, sprawling suites, spas, and swimming pools. Experience: Scotsman Paul Strachan, founder of Pandaw, has been operating ships up and down the Irrawaddy River for 20 years. Strachan knows the region and its rivers better than anyone else and because of that is constantly pushing the envelope with new itineraries that explore ever more exotic and uncharted inland waterways of Asia. A Focus on the Destination: Strachan himself will admit that he is no innovator. The ships the company is building today are much the same as the ships it built 20 years ago classic, steamboat style vessels. Instead the company is focused on immersive destination experiences and creating a fun and engaging atmosphere on board. 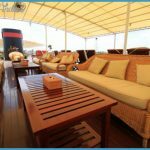 No Frills: Unlike other river cruise operators that are trying to bring a version of luxury, European-style river cruising to Southeast Asia, Pandaw is all about keeping Southeast Asian river cruising true to its original self. The company is not big on fancy public spaces or amenities such as pools on board. If you prefer destination knowledge over marble bathrooms, if you’re more interested in authentic local experiences than in creature comforts, you’ll probably fit in perfectly with the Pandaw product and with the other, laid-back passengers on board. Owner Strachan is focused on remaining true to a Southeast Asia river cruising model that fosters a more social atmosphere by drawing people out of their staterooms and into the public spaces. The wraparound balconies encourage guests to mingle and also facilitate the movement of fresh air as the vessels sail, something Strachan has said is both a comfort and safety issue, offering stability to vessels that have more shallow drafts. 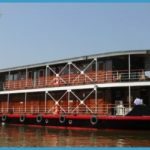 While the design of the Pandaw vessels hasn’t changed much in 20 years, recently the company has been pushing the envelope with new river cruise routes (see below under Routes). From its Scottish roots to its strong Australian and British customer base, you can expect to hear a lot of accents throughout the Pandaw experience. Whether sailing Myanmar’s Irrawaddy River or the Mekong River through Vietnam and Cambodia, you’re likely to be among a more adventurous bunch of more seasoned travelers than you’ll find on Europe’s rivers. According to Strachan, these are travelers who are not coming for the pool or the Jacuzzi. Which is a good thing because Pandaw doesn’t have those things. Passenger Laos Pandaw. Additionally, Pandaw recently introduced a new Halong Bay and Red River itinerary that inaugurated a new route along Vietnam’s Red River. Recently, Pandaw also unveiled a new itinerary that includes all six countries through which the Mekong River flows: Vietnam, Cambodia, Thailand, Laos, Myanmar, and China. Getting permission to sail across the border into China has proven the biggest challenge in achieving that goal. Pandaw has been testing the waters beyond Southeast Asia, as well, having chartered some vessels in India recently and with the hopes of perhaps introducing its own vessels there in the near future. Pandaw seeks to introduce its passengers to the wide variety of tastes and flavors of Southeast Asia on board its ships. Breakfast is served as a buffet and during lunch there is a soup, salad and dessert buffet but the main course is served to the table. Dinner is waiter service only. Passengers will have the opportunity to taste some of the more exotic and spicy foods Asia is known for or will be offered European alternatives. There are always vegetarian options, as well. Pandaw also prides itself on offering diners the choice of eating inside or outside (it’s dining room windows also open up) so that they don’t always feel cooped up in an air-conditioned spaced and removed from the fresh air and scenery. Only at night does it shut its dining room windows entirely to avoid unwanted visitors, aka insects. Daily excursions are in essence the whole reason for taking a Pandaw cruise, to witness the people and the traditions along the river. Pandaw offers daily excursions (at least one or two) that could be a walking trip through a village or to a unique landmark, or something a bit more adventurous such as a horse cart ride or a cycling trip Pandaw recently brought mountain bikes on board its vessels for use on such excursions or for passengers to take out on their own. The bikes are available to book for $25 per person, and Pandaw crew will advise guests on the best routes to follow and if needed a member of the crew will accompany the guests on their cycling trip. 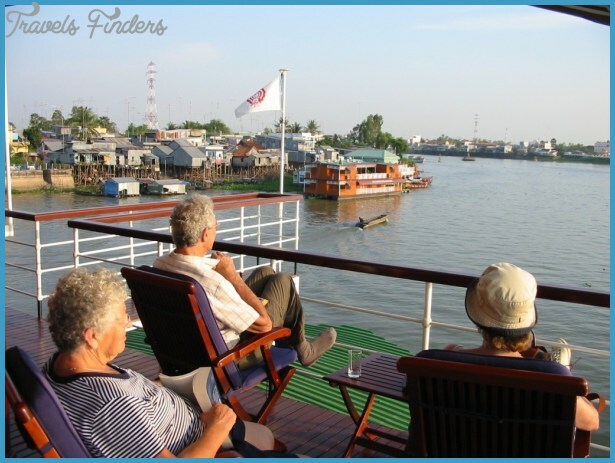 Some excursions take place via motorboat to remote river jungles or fishing villages. In larger ports, a more comprehensive tour will be offered, such as in Phnom Penh, Cambodia or in Mandalay, Myanmar. There are also usually opportunities to visit various charity programs Pandaw is involved with in the region, as well as to head to a local market with the ship’s chef. On board, the guide will host daily briefings. In addition to these cultural discussions, there are also cooking demonstrations, fruit carving lessons (Southeast Asians are particularly adept at this art), and themed movie nights such as playing L’Indochine while sailing in Vietnam or the 1984 drama The Killing Fields in Cambodia. Otherwise, it’s a good book on the sun deck or in the lounge, and/or a good drink at the bar. Pandaw welcomes children on board and has begun offering a handful of sailings designed specifically for families. On designated family departures, kids under age four travel for free if they sleep on a cot in the same cabin as their adult companions, and children ages four to 18 travel at a discounted rate. To accommodate younger passengers, Pandaw will feature more kid-friendly cuisine, will have cooking lessons on board, offer more active excursions, have bike tours at larger port calls, and will feature movie nights on board. During each expedition there will be at least one cultural performance on board. The shows might be an elaborate puppet show, as is custom in Myanmar, or a traditional folk dance performance. Otherwise, it’s colorful conversations and cocktails with your fellow passengers. Pandaw has been doing this for a long time. 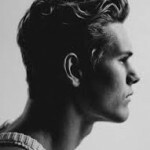 The company is intimately involved with the region, knows its people and has a solid system for training crew members. They execute extremely polite and courteous service, and it’s all done with bright smiles on their faces. Many of the crew have been with Pandaw for a long time, so they know what they’re doing, they know the destination and they provide comfort in their expertise. As mentioned above, the Pandaw fleet is pretty consistent in style and design. They are divided into two, relatively simple groups: Pandaw’s K Class of vessels, which are the company’s two-deck ships, and its P Class of vessels, which are its three-deck ships. There are 15 vessels in the Pandaw fleet, nine in its K Class and six in its P Class. 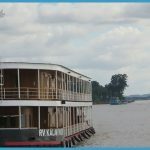 The vessels sail in Myanmar, Vietnam, Cambodia, Laos and China, and Pandaw also partners on charter cruises in India, and on the Peruvian and Brazilian Amazon. All Pandaw vessels follow the same format. For the most part, all the staterooms are the same size. They do not have private balconies but instead open up to the common wrap-around balconies not unlike those on steamboats like the American Queen in the U.S. And similarly, the shared balcony space is meant to contribute to a more social atmosphere, drawing passengers out of their cabins and into an area where they can interact with other passengers on board. There is one dining room, one bar and lounge, and an outdoor lounge and seating area. And that about does it. Simple is as simple does. There is tons of wood everywhere, the walls, the furniture, the floors, everything is done in wood, which actually keeps the vessels looking pristine. They are no-fuss but in a way that works and doesn’t feel dingy they remind us of nice, homey local B&Bs that are simple but charming. You realize on ships like this just how few amenities we really need to have a good vacation. 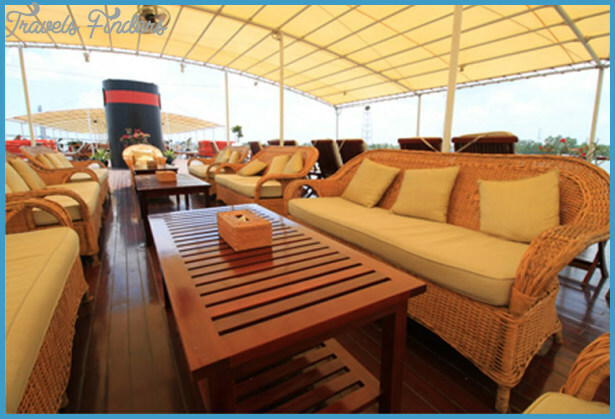 Pandaw does offer a variety of pre- and post-cruise options. It can be a 1-night stay on board a Pandaw vessel in the Burmese capital of Yangon (with its recent explosion in tourism since opening up more to the rest of the world in 2011, Myanmar is notoriously short on hotel rooms), or a three-night extension on Thailand’s River Kwai, made famous by the 1957 British World War II film, The Bridge on the River Kwai. There are also extensions available in Vietnam’s Ho Chi Minh City, and Cambodia’s Siem Reap and Phnom Penh.